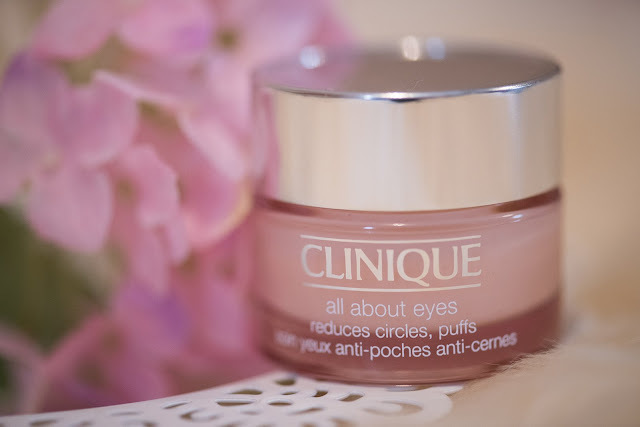 I wanted to review this Clinique 'All About Eyes' Eye Cream, that I've been using a lot a few years ago and now I just rediscovered it while I was shopping makeup in Harrods. I already use their Dramatically Different Moisturizing Lotion for about 7-8 years now, I use it on my clients as well, because it doesn't irritate the skin in any way, but this is another topic so if you want me to review the face lotion, please let me know. 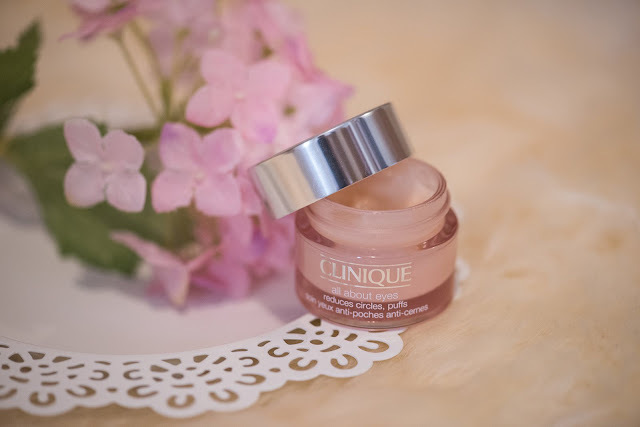 I used to love this eye cream years ago and then I got lost into trying other eye creams, you probably know what it's like, you always hope on finding the miracle cream, but actually I've never been completely happy. Now after trying Clinique 'All About Eyes' cream once again I fell in love with the smooth and creamy texture, it feels very silky, jelly like, hydrating and refreshing and I noticed that my concealer stays in place better now when I first apply the cream, which is easily absorbed in the skin without leaving a greasy residue. I usually apply it in the mornings when I prep my skin just before applying the makeup and I feel that it helps me a lot with the puffiness and tiredness underneath my eyes, I don't really have dark circles though, so I cannot tell if it helps against that too, but for sure it helps holding my concealer in place all day long without creasing. 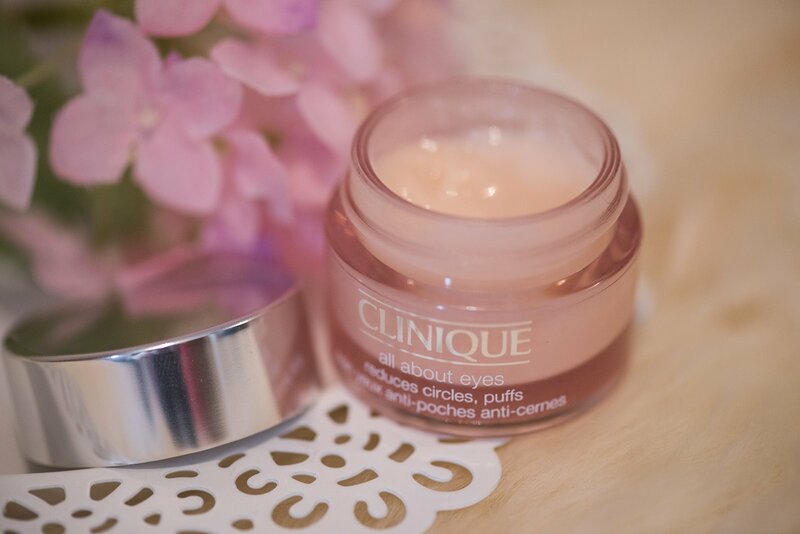 I feel that it's also blurring the appearance of my fine lines around my eyes, which is a huge plus and I would definitely repurchase this eye cream when I finished my pot. The 'All about Eyes' cream comes in a lovely 15ml pink opaque pot with a stylish silver lid and it retails for £26.50. cyclopentasiloxane -water - isostearyl palmitate - polyethylene - butylene glycol - polysilicone-11 - ethylene/acrylic acid copolymer - mulberry root extract - caffeine - phytosphingosine - wheat bran extract - scutellaria baicalensis root extract - whey protein - olive fruit extract - green tea leaf extract - cholesterol - linoleic acid - tocopheryl acetate - magnesium ascorbyl phosphate - pyridoxine dipalmitate - sucrose - glycerin - dimethicone - glyceryl laurate - peg/ppg-18/18 dimethicone - quaternium-18 bentonite - petrolatum - cetyl peg/ppg-10/1 dimethicone - propylene carbonate - sodium chloride - disodium edta - sodium sulfite - sodium metabisulfite - iron oxides (ci 77491, 77492, ci 77499).